Tessitura integrated accounts can enable source number tracking for links in WordFly campaigns. This feature appends the source number from your promoted Tessitura list to the end of all links in your email campaigns. This feature allows organizations to tie sales from emails using a specific source number. It can also be used to embed a promo code (discount) in your email link. When this feature is enabled, all properly formatted links will have your list's source appended. Links that are flagged as incorrect will not be tracked and will not have the source appended. You can remove source tracking on any links by going to the Testing tab of your campaign. Select Full Review and uncheck the Track This Link box next to your links. Click Save my selections to omit tracking on any links. Your website must have functionality to capture the source number from the query string and submit it to the "Promo Code" parameter of the Tessitura API Login or Register calls. You'll need to make sure any page that you’ll be linking to in your emails has this functionality, and that the value captured is persisted so that it is available when the Login or Register call is made. If you have questions about this functionality on your website, please review with your website developers. TNEW websites, please use promo for your query string name. When you manually include your promo codes in your email links you must disable this feature for the campaign before it is sent. Otherwise, WordFly will add the source in addition to your manually embedded promo code which could then cause an error processing the link on your website. You can make the source from your list a discount code in Tessitura. Learn more. First you'll need to able source number tracking for your WordFly account as a whole. 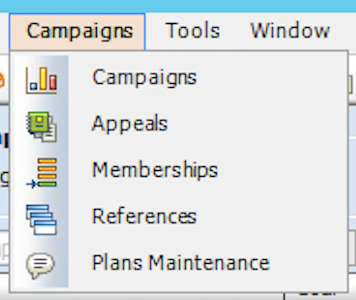 Once this is enabled then you can turn on source number tracking on a case by case basis for each email campaign. If your website doesn't use sourceNumber for source processing simply set up a new name for source number tracking on this page in the open field for Query string name. TNEW websites, please use promo for your query string name. If you are unsure what your website uses, please consult with your website developers. Once you have enabled source number tracking for your WordFly account you can enable it on any campaign under the Settings tab. 2. Create a new campaign or click on the name of the email campaign that's In Progress. 3. On the Settings step, check the Source Number Tracking check-box. You won't see source numbers added to your links in test emails because test emails use the Default Test List and not the list that is assigned to your email campaign. Source number is part of your list data and is added like other personalization when the email is sent. There are two ways to test your source number appending before sending the email. 1. Go to your email campaign and click on the Testing tab. 3. Click on Preview to the right of the email address under Subscriber Preview. Hover over a link, is the source added at the end of the link? 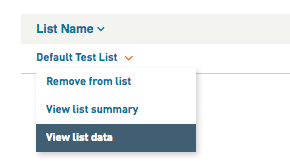 Option 2: Update your Default Test List data with the source from your list. 2. 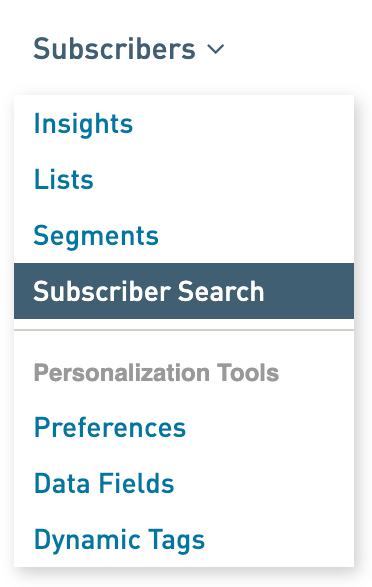 Search for your subscriber record in WordFly. This opens the subscriber profile. 4. Select the Lists page. 5. In the search field, search for 'Default'. This should pull up the Default Test List. 6. Click on the Default Test List and select "View list data fields". 8. You can customize the data here. Add your source number! Update your source data and then your test emails should pull in the test data for your subscriber record. 7. Click Save at the bottom of the screen. Your source will now be saved and will be used for test emails until you change this value again. In Tessitura a source can be made into a promo code anytime. When Tessitura lists are promoted for a WordFly email campaign a unique source is included in the list import. There are two ways to give your source a discount in Tessitura. Option 1: Apply your discount to the appeal you will use with your Tessitura list. When the discount is applied to your email appeal the source that gets created when your list is promoted will receive the discount. This is the easiest way to apply a discount to your source automatically! 1. In Tessitura, select GoTo > Ticketing Setup from the top navigation. 2. Select the performances tab. 3. Double click on the applicable performance from the list to open it. 4. Select the Modes of Sale tab. 5. Select Offers from the lower right corner. 6. Click Add from the Offers window. 7. Select an Appeal and a Pricetype from the Special Pricing Offers window. Then click OK. This enables a discount for the appeal you select in your list. When the list is run with this appeal the source generated by the promoted list will carry the appeal's discount. This way when WordFly appends this source on your email links the discounted source will be applied to the subscriber's web session on your website and will automatically receive the discount. Option 2: Find the source created for your promoted list and apply a discount to the source. Import your Tessitura list into WordFly. 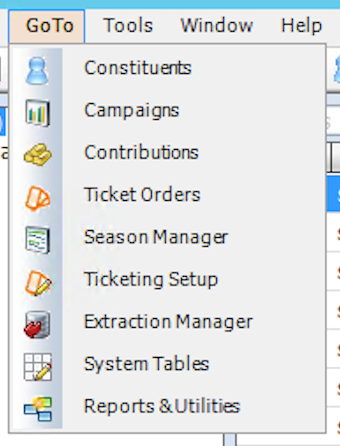 When the list is imported a promotion will be created in Tessitura which generates a source number. Add your discount to this source before the email is sent. This process takes a few extra steps, see option 1 for a faster method. 1. In Tessitura, GoTo > Campaigns from the top navigation. 8. Enter the source number from the list, select your MOS, and enter a friendly promo code. Now when WordFly appends this source to the end of your links using source appending your links will use this source and the discount on this source will work on your website. Be sure to use Subscriber Preview to confirm this is the source being appended at the end of the links. You want to know how your emails are translating into sales on your website. As long as your site is set up to interpret source numbers you should be able to make good use of them to track the behavior of your subscribers. WordFly records the URL that was clicked with click events in Tessitura. All click events will be recorded in the T_EPROMOTION_RESPONSE_HISTORY table. Each unique URL is stored in the TR_EPROMOTION_URL table. For any promotion you can find all the customers who clicked on a link in the email. You'll use the data in the promotion tables along with order information to get a picture of the path your ticket buyers are taking. This will tell you which customers clicked what link and when. You can then correlate this with shopping cart data (T_WEB_ORDER) and order data (T_ORDER) either by source number or by customer number and date to analyze how your ticket buyers are interacting with your email. You can also pull a Revenue Report in WordFly to see all the sales associated to the source in your Campaign. Review this post to pull a Revenue Report.